Whether you’re seeking the peace and quiet of a small town or the buzz of a large city, you can find it here. Our main campus is located in Richmond, Kentucky, a fast-growing but still quiet community of 33,500 where the Bluegrass Region and all its scenic horse farms meet the foothills of the ruggedAppalachian Mountains. Just 25 miles north, an easy drive on I-75, is Kentucky’s second-largest city, Lexington, population 314,500. Other large cities within an easy two-hour, all-interstate drive are Louisville, Kentucky; Cincinnati, Ohio; and Knoxville, Tennessee. You’ll discover that EKU, with 16,612 students, is large enough to offer all the academic choices (more than 100 undergraduate degree programs with many options) and extracurricular activities you expect from a university this size, yet small enough to retain a personal touch. With a student-faculty ratio of 16:1, you’ll be treated as an individual. Our distinguished faculty and dedicated staff take a personal interest in your success. The emphasis at EKU is on teaching and mentoring, and most of your classes will be taught by full-time faculty. Our accredited cooperative education program can connect you with internships and co-op jobs that will help build your résumé in your field of study. EKU’s College of Health Sciences is where health and education meet. Occupational Therapy, nationally ranked among the nation’s top 20 OT programs, is just one of the outstanding academic programs (all nationally accredited) you’ll find. Our exceptional faculty are nationally and internationally known and are dedicated teachers and clinicians who combine real-world practice, experience, and scholarship to create a vibrant learning environment to help you achieve your professional goals. The College’s largest discipline is its Bachelor of Science in Nursing program, which launches the careers of nearly 100 new BSN graduates each year. 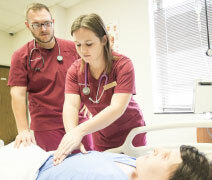 As the only college in Kentucky in 2013 to receive a letter of commendation from the Kentucky Board of Nursing for achieving a 100% passrate on the NCLEX for its BSN graduates, EKU leads the way in preparing its students for career success. If your career aspirations lead you to a sports-related career, such as a college coach, sport administrator, athletic trainer, or physical education teacher, you should explore EKU’s extensive array of degree programs in Exercise and Sports Science, which prepare students with cutting-edge theory combined with practical learning experiences taught by outstanding faculty in state-of-the-art facilities. The College’s Athletic Training program is accredited by the Commission on Accreditation of Athletic Training Education (CAATE) and began offering the new master’s-level certifications during the summer of 2016. The Environmental Health Science program is one of only 31 such programs in the United States accredited by the National Environmental Health Science and Protection Council (EHAC). 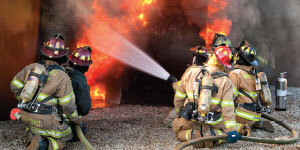 The program focuses on physical, chemical, and biological threats to human health as well as engineered barriers and behavioral changes required for protecting and enhancing human health. Courses range from air and water quality, wastewater disposal and treatment, and hazardous and solid waste management to control of disease vectors, radiological health, toxicology, and more. EHS students will find extensive co-op and internship opportunities as well as study abroad, and they will graduate into a profession that is in high demand with excellent starting salaries. EKU’s College of Health Science graduates pursue their passions by also becoming public health practitioners, nutritionists, recreation managers and therapists, early childhood educators, medical laboratory scientists, medical informatics specialists, health administrators, dietitians, family services providers, and even apparel designers and merchandisers. Regardless of the health career you seek, you’ll find an educational pathway to begin your journey. Expand your horizons by exploring study abroad opportunities, joining one of our 230 clubs and organizations, or getting fit playing intramural or club sports or participating in our outdoor adventure programming. You’ll grow from your interaction witha diverse student body that includes nearly 300 international students along with students of diverse backgroundsfrom across the nation. Whether you want to go Greek or live in one of ourunique Living and Learning Communities, you will find plenty of chances to live, learn, and grow. Oftentimes seeing is believing, so plan your visit now to experience firsthand why EKU is a special place that feels like home. 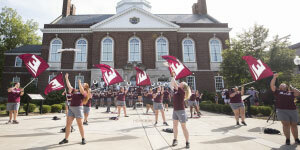 Go to admissions.eku.edu/visit to find a time that suits you best. Visit the Virtual Campus Experience at eku.edu/#virtualtour to hear from our current students why they chose EKU and what makes it such a great place to begin your educational journey.